The fan auction could not function without all the generous people who donate their SF related and unrelated stuff to be sold. I would like to thank Ivana Delac, Vesna Kurilic, Goran Magdic Magi, Mirko Karas & Monika Tresk for their lovely donations for the Rikon GUFF auction. A very special thanks goes to Ozren who donated such a huge pile of books, I doubt we will be able to auction them tonight. After Bibita donated some of her work during the Liburnicon GUFF auction, I was approached by a young artist from Rijeka Daria Valencic who also had a stand there and planned one for Rikon. 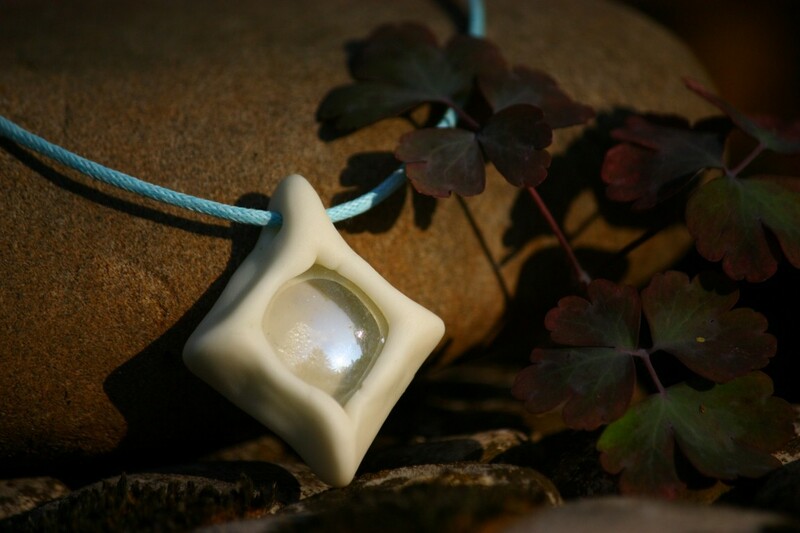 For tonight’s auction she donated this lovely pendant that glows in the dark. Davorin Horak, the editor of Sirius B magazine, generously donated a chocolate Alien egg that has become the staple of Hangar 7 stands at all Croatian conventions. NextFHere we go again: GUFF call for nominations!